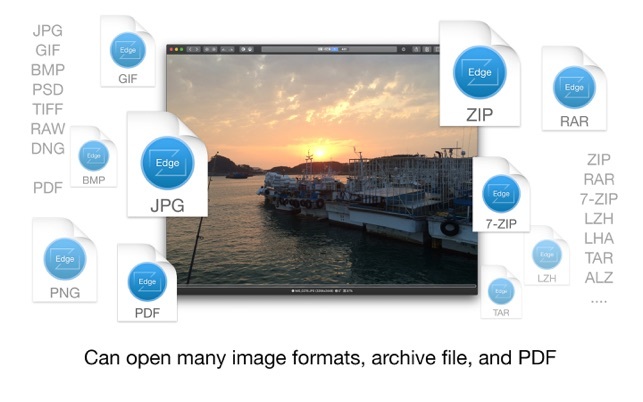 ● Supporting major archive formats such as ZIP, RAR, CBZ, CBR, 7-zip, ALZ, etc. - Two-page spread, reading from right to left, etc. - Move previous/next, skip, move only one page(shift previous/next), etc. - Insert shadow in spread pages, auto level correction, blur, sharpen, unsharpen mask, grayscale, colorize, etc. ● Can sharing image via SNS. ● Can copy and move, delete files. - Support animated webp format. This is by far the most functional app I have ever used as a Mac user for a decade. 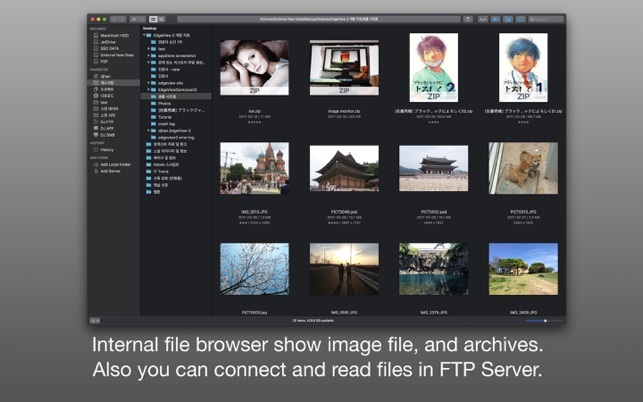 The finder plugin allows you to preview images of the archive without even open it (by creating a thumbnail to the archive file), or preview the first few images of the archive by pressing space bar (quick look). Great for manage lots of archives. The library management tool also allows you to have a sneak peek into the images of folders without even click in, handy. The image/archive viewer is also handy and has basically all the functions you need to enjoy browsing images or comic. Now can’t wait to use Mojave’s dark mode and see how EdgeView applies to it :) Great work Han! 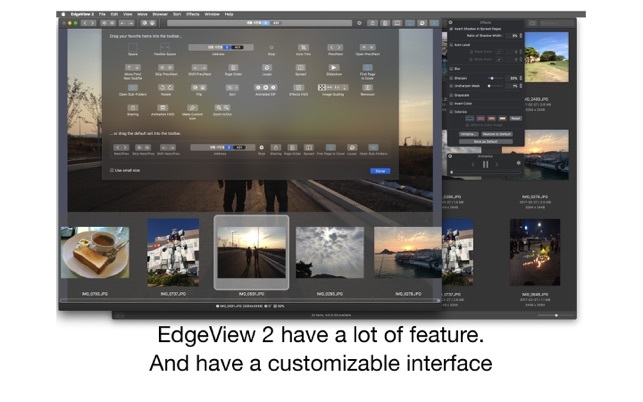 Thanks for purchasing EdgeView 2. Also thanks for your review. If you have any request or finding a bug, please mail to edgeviewdeveloper@gmail.com. The best image/Comic viewer in macOS! So fast and fluent, and additional web streaming feature is very convenient and stable. 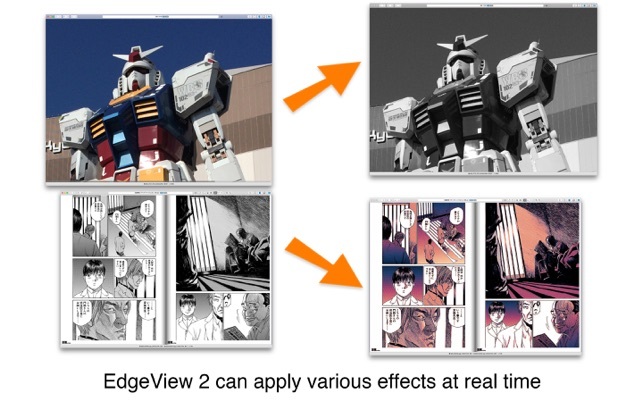 If Comicglass is the best in iOS, Edgeview2 would be the best in macOS. I personally believe that there’s no substitute in Windows. Also, the developper is very devoted, feedbacks are very fast. Thanks for your review. If you find bugs or have suggestions, send mail to edgeviewdeveloper@gmail.com. Thanks. 윈도우에서 맥으로 넘어오면서 제일아쉬웠던게 이미지뷰어였습니다. 그런데 edgeview를 써보고나서 완전좋다고 생각했어요. 그리고 확대해서 볼수있는 loop기능도 좋아요. 돋보기로 보는느낌이라고 생각하시면되구요. 그리고 google drive내의 파일 여는것과 관련해서 문의했더니 바로 피드백해주시고 고쳐서 업댓해주시네요. 추천합니다. 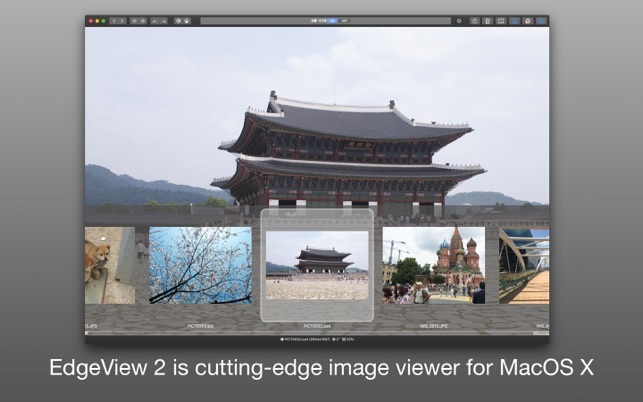 one of the best apps for image views. it’s appled to every files related to image. i think you need to focus on some features such as “loop” and "gif controller"
Thanks for your review. :-) But magnification window is "loupe", not "loop". Anyway, if you found a problem, or have a suggestion, please mail to edgeviewdeveloper@gmail.com. Thanks.